Welcome! 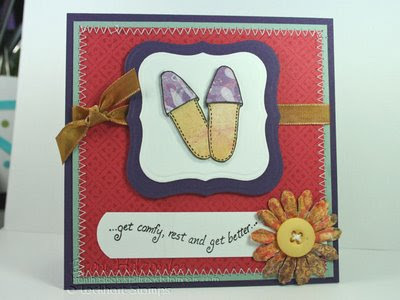 It's hard to believe but we're up to week #20 of the Color Throwdown! For this week's colors I was inspired by a local restaurant! My daughter had a job interview at Panera Bread a few weeks ago, and while sitting outside in the car waiting for her, I was struck by how lovely the colors were on the exterior of the building! So I chose these colors for today's Throwdown! We hope you'll have time to join the challenge! Remember to leave a comment here on this post with a direct link to your creation, and if you upload to any online galleries, please ID your upload with CTD20! Great cards girls! The colors really are AWESOME!! You know you're addicted when you can't look at ANYTHING without putting it into card form! LOL!! I will be looking at Panera Bread in a new way now .. 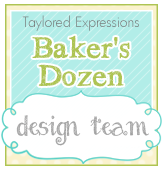 These are AWESOME colors Tammy and all of you ladies have made gorgeous creations with them! Now, I wonder what I can come up with... I'll be back!! Wonderful cards this week, ladies! 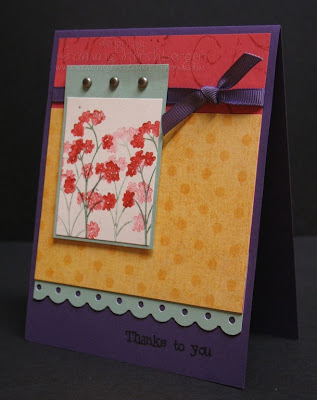 These colors are fabulous and your cards are just as fabulous. I LOVE CTD! It helps my creativity tremendously. Thanks so much. I'm back and this was great fun (as always) ... thanks ladies for all your inspiration!! Gorgeous colors!!!! All your samples are just great, ladies!! Gorgeous color combo! I couldn't resist not making a card with these colors! FAbulous colors! I have to admit I really struggled with them, but I think I did ok.